Mar 2 2018 - The painful experiences of Rohingyas have once again been poignantly narrated to the visiting Nobel trio, and anyone who hasn’t really been through the harrowing experiences cannot actually comprehend the horrendous nature of violence that these people have been through. Myanmar’s apparent foot-dragging in starting the actual process of repatriation betrays its opacity and insincerity in fulfilling the deal. 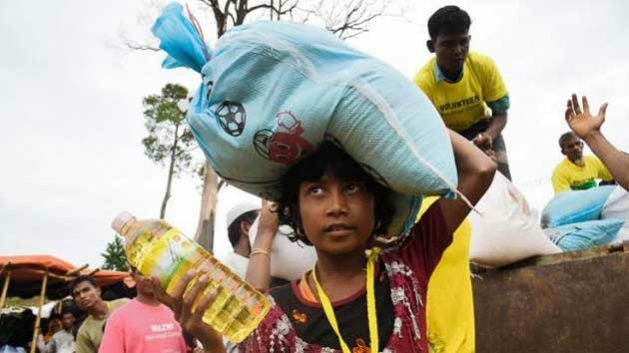 And in spite of the agreement on repatriation, refugees are still trickling into Bangladesh, meaning that the persecution of the minority community, of whatever few Rohingyas left in northern Rakhine, is still going on. It has been resorting to all manners of subterfuge to delay the repatriation. Bangladesh has been trying its best to help a permanent resolution of the problem and return of the refugees to where they belong. How long can it wait for it? Every day of delay in repatriation imposes a tremendous cost on Bangladesh. That the violence fits all the characteristics of genocide is beyond any doubt, yet the UN has been unable to initiate stern actions against Myanmar. And that is what begs the question. Merely pronouncing wishes will have no effect on a regime that is determined to make the State of Rakhine Rohingya-free unless the current rulers and the military are called to account for the genocide they have committed in northern Rakhine. The UN Security Council must take cognisance of the matter and report it to the International Criminal Court, like it did in the case of Sudan. Russia and China, who have consistently resisted adopting all Council resolutions for severe action against Myanmar since the very beginning of the problem, should realise that their position not only prolongs the sufferings of the Rohingyas but also puts Bangladesh in tremendous duress in every respect. But more dangerously, their consistent veto gives the regime in Naypyidaw a sense of impunity too. And unless the regime is called to account, the persecution of Rohingyas will continue.